Alan Follette of Boyne Falls, left this world, surrounded by his family, to join our Heavenly Father, on October 26, 2018. 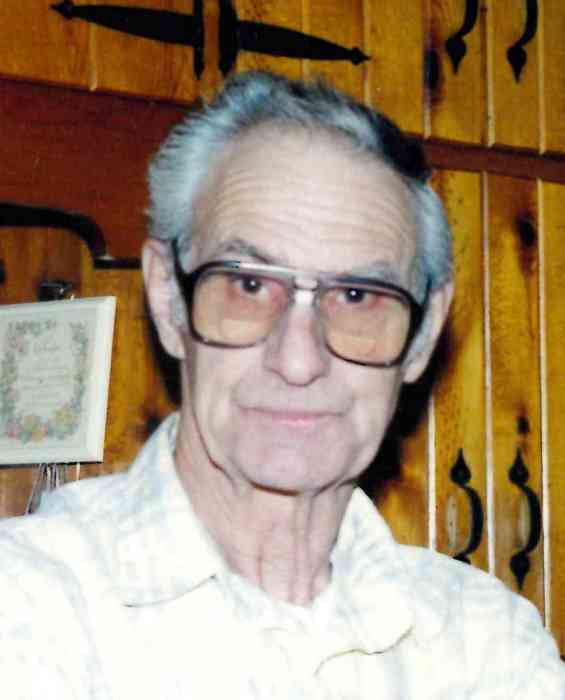 He was born on December 17, 1931, to Murray and Verona Follette of Melrose Township. Alan was the third of fourteen children. Alan served in the US Army from March, 1950 until March, 1953, during the Korean War. In November, 1952, he married Midge Hausler. They made their home in Boyne Falls, where they raised six children. In 2008, they lost their son, Michael. Alan was a Jack-of-all-trades. Throughout his life, he did many different types of work: TV/radio repairman, mechanic, and road construction. He also worked at Boyne Falls Log Homes for many years and, most recently, Young State Park in Boyne City. Alan enjoyed gardening, playing guitar and harmonica, family vacations, and being involved with Little League. He was a die-hard Ford man. Alan proudly completed his education, receiving his diploma in 1974 from Petoskey High School. He was baptized in the Boyne Falls United Methodist Church, as were his six children. Alan enjoyed his daily visits to McDonald’s in Boyne City where he was well known and had many friends. Alan is survived by his children, Gayle Nicholson of Boyne Falls, Diana Farmer of East Jordan, Rosemary (Kelly) Reilly of Petoskey, Penny (Jim) Peterson of Wolverine, and Patrick Follette of Boyne Falls. He is also survived by the children's mother, Midge Follette of Petoskey; daughter-in-law, Alena Follette of Washington; 15 grandchildren; 26 great grandchildren; sisters, Alma, Ronnie, Debbie, Kathy (Tom); sister-in-law, Judy Barnes; brothers, Stanford (Ruth) and Murray (Jo-Ann). He was preceded in death by his parents; son, Michael; son-in-law, John Slater; great-granddaughter, Amara; father and mother-in-law, Floyd and Myrtle Hausler; siblings, Opal, Muriel, Albert, Jerry, Stanley, Judy, and Carlton. Friends are invited to share in a celebration of Alan's life on Saturday, November 3, 2018, 1:00 PM at Boyne Falls United Methodist Church. A luncheon will follow at Boyne Valley Township Hall. Interment will be at Boyne Valley Cemetery. Memorial contributions can be made to Paralyzed Veterans of America or Boyne Falls United Methodist Church.